homas M. Kuras was born in Detroit, Michigan, on December 21, 1950. Profoundly intelligent and musically talented, he was a church organist by the age of twelve. Difficulties at home led him to immerse himself in music, and by the age of twenty he was an accomplished musician in every sense of the word. Feeling that university study offered him little, he left college without a degree; nonetheless, in 1970 he passed the examination to become a Fellow of the American Guild of Organists, then the youngest person ever to have done so. In the early 1970s he was Director of Music at Blessed Sacrament Cathedral in Detroit and in 1974 he became Director of Music at Saint Joseph's Church (Detroit) where he remained until his death from cancer on July 26, 1997. 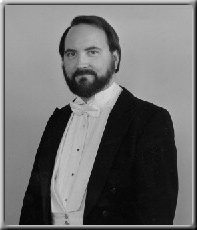 He founded and was artistic director of Chamberworks, a concert series, and the choral society, Detroit Philomusica. Kuras was a keyboard virtuoso and a gifted improviser. He was expert in music history, performance practice, musicology, vocal technique and liturgy. His grasp of music literature was far-reaching, and few owned as much of it. At Saint Joseph's Church, his program continued that parish's tradition of orchestral Masses, including not only Mozart, Haydn and Schubert, but Rheinberger, Benn and others as well. He composed a great deal of music, much of it for the Church. His choral music was often intended to fill gaps in the available literature, particularly for the Novus ordo Mass of 1970; he wrote, for example, dozens of choral Gospel Acclamations. His organ preludes reflect his sense that many hymns used today are not well represented in the organ chorale literature and certainly not in forms usable in liturgy. For use at festive services he set hymns and carols for chorus, congregation, orchestra and organ. Mr. Kuras' musical legacy now belongs to the Saint Joseph Musical Society, administered by William Worden.